← Nature Notes from Budapest: colonisation, silent gardening etc. Here are some pictures of a roadside in the 11th District of Budapest. 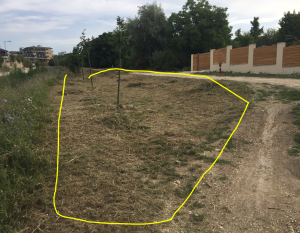 Here I have highlighted the bit which was done by nature, at no cost to landowner or local council. 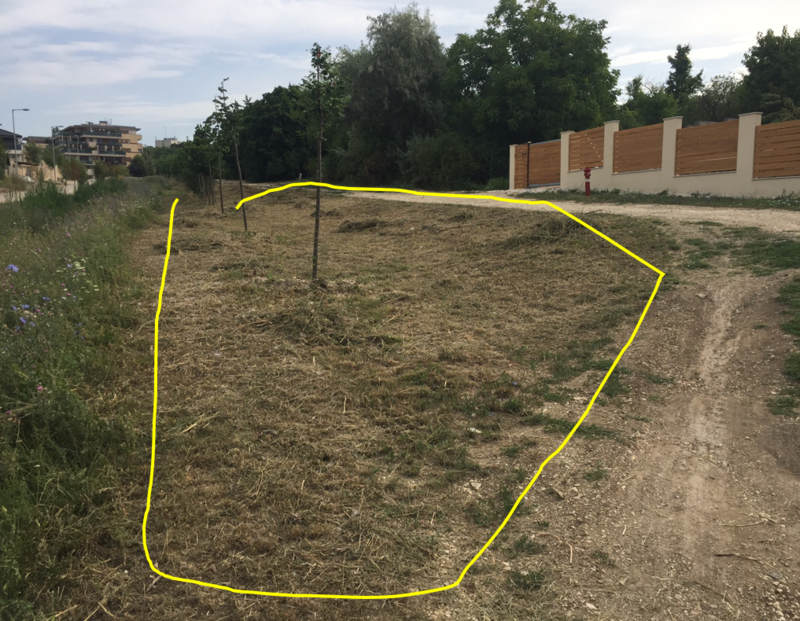 Here I have highlighted the bit which was done by a man with a strimmer, costing probably a thousand forints (something over €3) an hour plus fuel and equipment rental. The natural bit is utterly wonderful, but the mown bit (death gardening) is very dismal. I try to understand what is happening in the mind of people who prefer dry grass to burgeoning wild flowers. What is the system which results in this horticultural interpretation of Stalinism? A manufacturer or trader of strimmers sends out his salesmen to pressurise people to buy strimmers. Nature has no salesmen putting pressure on gardening contractors. Old people in particular have a concept of “order” in their minds – it is something they cling to in order to handle or make sense, to themselves, of a complex, unjust and disorderly world. They seek to impose this concept of order on the physical environment around them. Again, old people, but also some young, see nature as something to be defeated and conquered. Rather than the source of life, it is, to them, a threat. Once, decades or centuries ago, nature was a threat en bloc: people could do nothing about the storms, floods, drought, monsters, pests and disease that it hurled at them. Now, even though, for most practical purposes nature has been tamed, nature as a threat lives on in their minds. As described earlier (http://www.thebustard.com/?p=402) many people have an infantile aesthetic in respect of gardens. Municipal officials, seeking to avoid losing power, assume that their voters want “order” (perhaps having observed the proportion of old votes in their district) and so allocate budget to hiring death-gardeners to create that order. They recognise that the majority of their voters have the infantile aesthetic mentioned above. It may be that they are, out of habit, repeating processes which were followed the previous year. 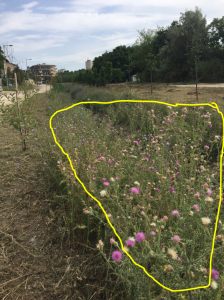 As a result you get municipalities with ugly, skinhead-mown, patches of dry grass where there could be swathes of wildflowers in a myriad of colours and home to butterflies, bees and millions of unknown, wonderful (and harmless) insects. Some municipalities are getting smarter. The tract of wildflowers along the embankment of the 59 tram in the 12th District has only been mown a couple of times this year. At least flowers have been allowed to develop. It could be lusher and wilder and more colourful, and could have piles of logs and stone as habitat for wintering. Nonetheless it is a great start. May the practice of leaving good alone spread. In the context of municipal gardening, less is generally more. 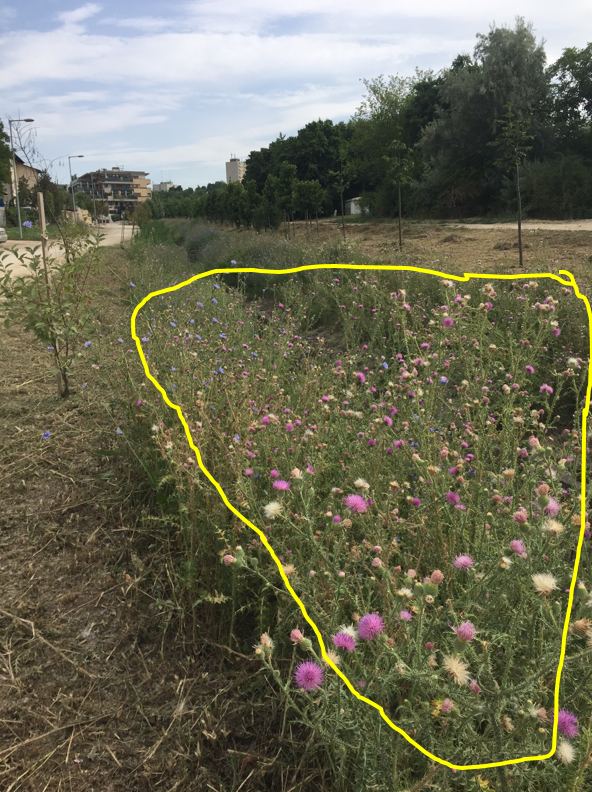 This entry was posted in Environment, society, politics and economics and tagged Budapest, death gardening, nature-friendly gardening, strimmers, wild flowers, wildlife. Bookmark the permalink.